Nick grew up around the sport of rugby. His father played and coached, and his brother played as well. Nick has been playing for 11 years. He has been involved with the sport since his sophomore year of high school. He began playing for the Mentor High School team under the tutelage of his father, who coached the high school team as well as the Cleveland Rugby Club. After playing in Bowling Green State University, Nick returned to Cleveland after spending a few years in Chicago. 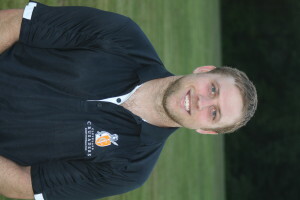 Once he returned, Nick took up the reigns of the Cleveland Rugby Club as Captain. After being in Cleveland with the Cleveland Rugby Club for the last two year, he is taking on the role of Match Secretary with the Crusaders RFC.